SkinFood | May our skin grow beautiful, as we grow wiser. Anyway, this is a whitening line which uses Kiwi. Kiwi is an excellent source of vitamins. Gold kiwi has the most concentrated phenol content and also has the highest antioxidant properties compared to other Kiwis. So you know the old adage – “an apple a day helps keep the doctor away”, right? Well, when it comes to heart health it appears the better option is gold kiwi fruit by a long-shot, so says a new study published this month in the journal Biological and Pharmaceutical Bulletin. In particular, the study team desired to know which of the fruits had the highest concentration of polyphenols (powerful antioxidants that offset the effects of molecules known as free radicals), which were most effective in reducing lipid oxidation (the process whereby fatty acids are turned into free radicals that damage cells), and which were most effective in eliminating free ranging hydrogen peroxide (another type of free radical produced as a byproduct of the body’s process to create and use energy at the cellular level). People with high levels of unhealthy lipids (LDL cholesterol) in their blood serum (oxidized LDL in particular) are considered at high risk for cardiovascular conditions such as atherosclerosis, heart attacks, strokes and other maladies. By reducing the amount of oxidized lipids and the number of other free radicals in blood serum, physicians believe people can significantly reduce their risk of heart disease. A common way to reduce free radicals and oxidized lipids is to consume more antioxidant rich food, hence the interest of the researchers in these fruits. The short takeaway – gold kiwi crushed the competing fruits on all measures. In fact, apples came in dead last on every measure! For example, to assess polyphenol content, the researchers cut equal weight pieces of each fruit flesh and blended in a mixer for about 30 seconds. The blended fruit juices were then processed through a centrifuge for 10 minutes and subsequently strained through a filter. The strained juice was centrifuged again – this time for one hour – and then samples were taken of the remaining, centrifuged juice. Using this method, the researchers found that gold kiwi’s polyphenols content was approximately 1.04 milligrams per milliliter, green kiwi was second with 0.85 mg/ml, navel oranges were third at 0.80 mg/ml, while apples were dead last at 0.13 mg/ml! To assess the antioxidant properties of these polyphenols, the researchers then mixed a 1% concentration of the fruit juice solutions with lipids from egg yolk and then irradiated the mixture for various time intervals (irradiation via UV rays causes the lipids to oxidize). After irradiation, the study team examined the counts of oxidized lipid molecules remaining in the respective fruit juice mixtures. They found gold kiwi and navel orange both inhibited oxidation of 60% of the lipids. Again, apples were dead last at 23%. To further evaluate the antioxidant properties of the various fruits, the researchers mixed a 5% concentration of the fruit juice solutions with hydrogen peroxide and let the mixture sit for two hours. Then the researchers measured the amount of hydrogen peroxide eliminated by the fruit juices. Once again, gold kiwi significantly outperformed the other fruits, eliminating over 60% of the hydrogen peroxide. No other fruit achieved greater than 30% elimination and apples again lagged the field at less than 10%. So, if you’d like to add an easy, tasty and heart healthy fruit to your daily diet, consider gold kiwi. It’s a little more challenging to find in a retail grocery store (and a little more expensive to buy) so you may need to look for it in a specialty/gourmet food store. The line will consist of 7 products – Toner, Serum, Gel Mask, Sunscreen, Emulsion, cream, and a cleansing toner. Skin Food will be releasing 10 kinds of lipstick titled the ‘Vita Tok Lipstick’. 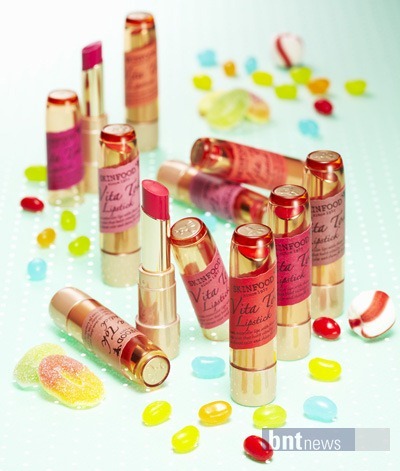 The 10 lipsticks are enriched with Vitamin A,C and E to protect and nourish your lips. Macadamia Nut oil extract is also included in the formulation. 10 flavours and colors of the lipstick will be available. 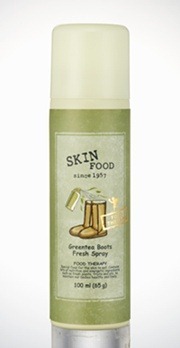 Skinfood will be releasing a new product called the Greentea Boots Fresh Spray ( 100ml / 6,000 Korean Wons). It’s purpose is to eliminate odour and the bacteria that causes it. All you need to do is spray the deodorant in your shoes/boots. The spray contains green tea extracts which acts as a natural antibiotic that protects the skin without irritating it while inhibiting bacteria and microorganism growth which causes foul odour. 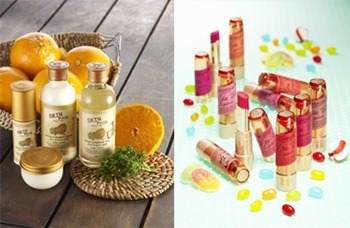 Korean cosmetic brand, Skin Food, will be launching two new products – Avocado Essential Oil and the Avocado Multi Balm. Avocado Essential Oil will be suitable for all skin types, even for sensitive skin. Avocado oil nourishes the skin intensively and forms a film to prevent moisture from escaping, giving you moist skin. Pumpkin, bamboo, water lily and lotus extracts work together to help sooth the skin. The Avocado Multi Balm contains avocado oil and is an all purpose balm which can be used on face, lips, elbows, heels, knees, hair, and parts of extreme dryness. Avocado oil is a rich heavy oil, that is deeply penetrating and rich in vitamins A and D, lecithin, potassium as well as vitamin E.
The crude Avocado oil is green in color as it still contains chlorophyll and is classified as a mono-unsaturated oil. It is often used for clients with dry or mature skins, or people suffering from eczema or psoriasis, and is very useful when treating sun or climate damaged skin that is dehydrated and undernourished as it is said to help with regenerating the skin and softening the tissue. 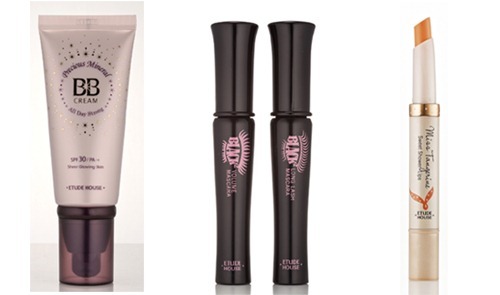 Skinfood has released a new line called the Platinum Grape Cell. 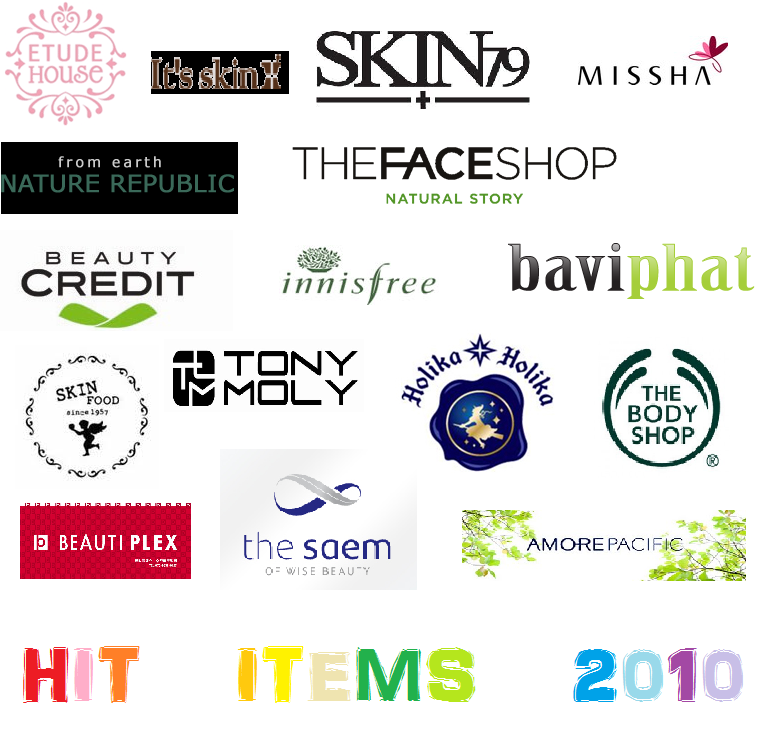 As 2010 comes to an end, Korean skincare/cosmetic companies have ranked their Best-Selling items throughout 2010. Did your favourite Korean skincare products made it into the top 5?